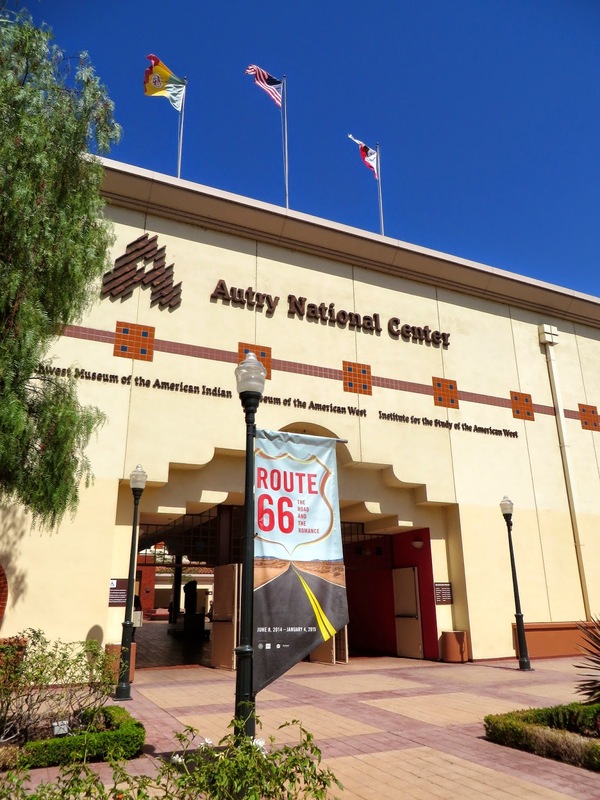 The last time I was at the Autry Museum, which is dedicated to the history of the American West, was during my college days. 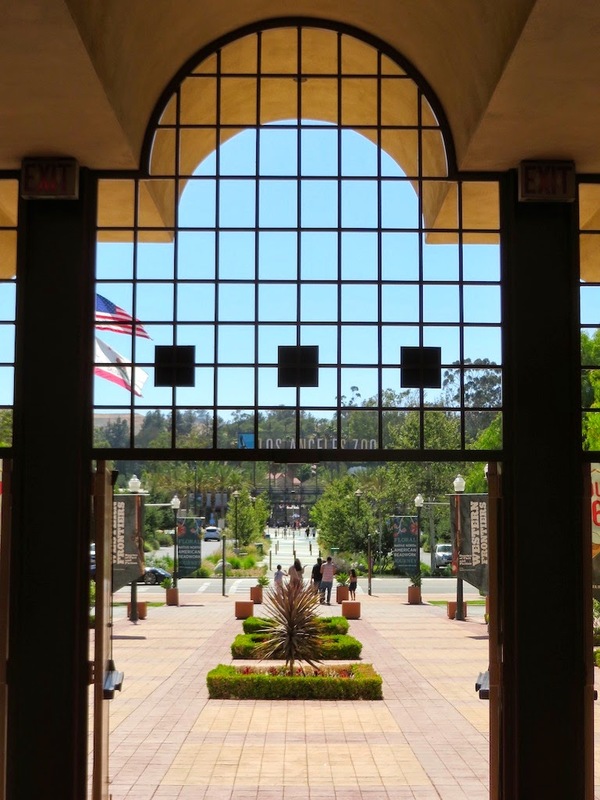 In college I volunteered for a mentoring program for children which included taking them on weekend excursions to local museums and cultural landmarks such as the Autry. Although the experience is a bit fuzzy in my mind (it was over 10 years ago after all!) I remember enjoying the exhibits and the picnic we all had outside after touring the museum. Well today was much like that day 10 years ago. 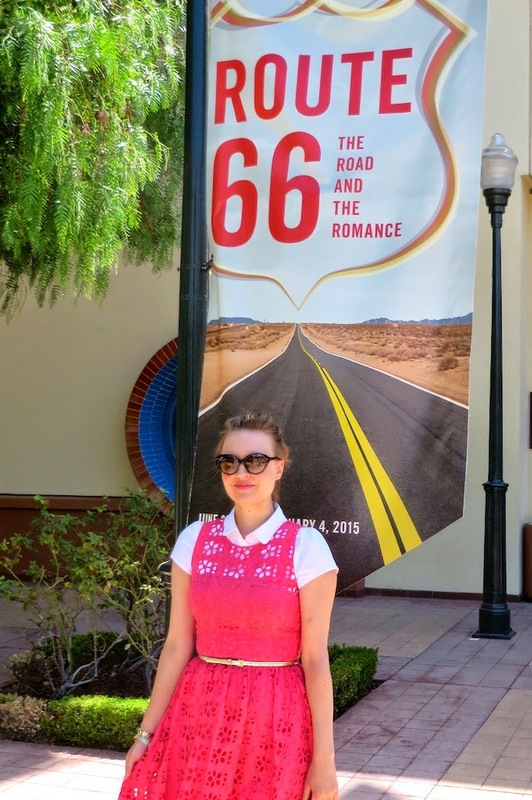 Upon hearing about a recent exhibit on Route 66 at the Autry, I organized another excursion to the museum, but this time for just my husband and me. I tried to look up a local restaurant that we could go to beforehand, but with little luck. We both remembered from previous visits that there were picnic tables and benches outside of the museum, so we had the bright idea to pack a lunch and eat outside on a gorgeous day like today when the weather isn't too hot and there's a hint of breeze in the air. So we packed a picnic basket with sandwiches and snacks and off we went! Above you will see some pictures of my picnic attire. 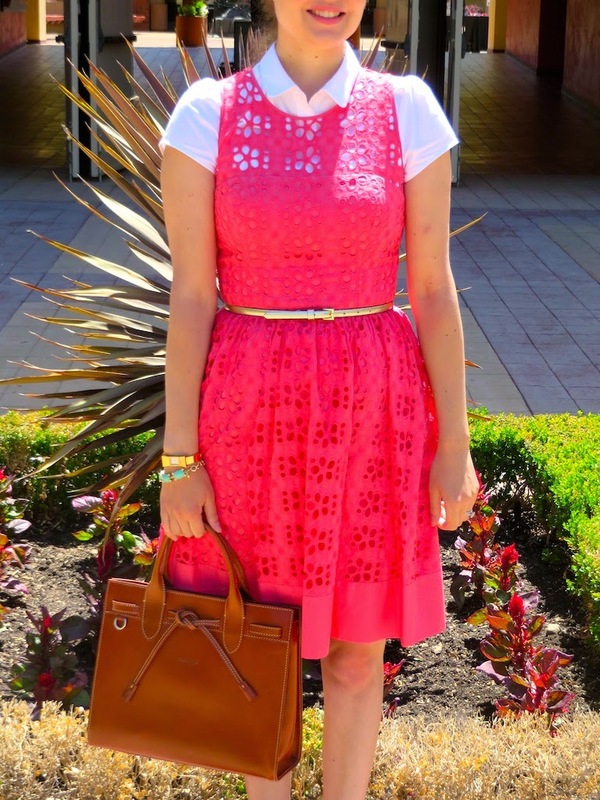 I thought it would be a nice day to wear sort of a "casual dress" although my husband claimed that it was fancy. I thought pairing it with a shirt underneath made it a little more casual. 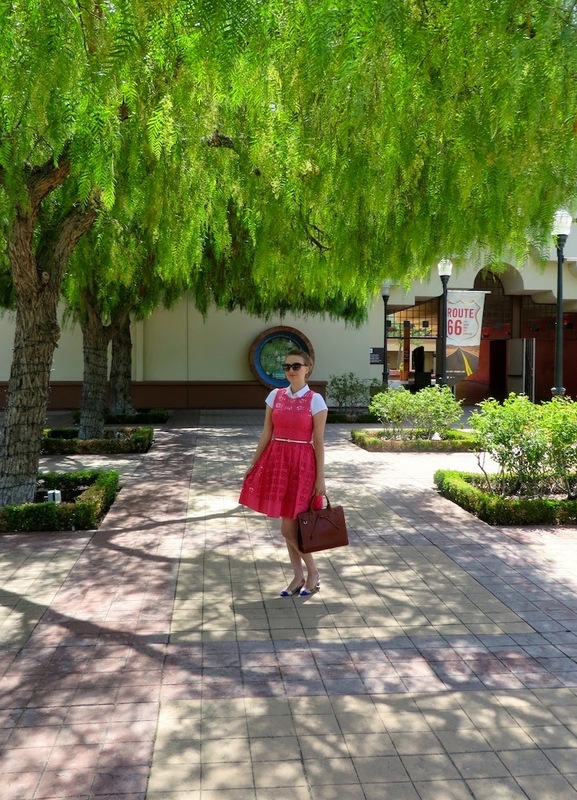 I also thought that my Lucie slingbacks looked somewhat like a picnic table, although a very colorful one! So as I said, we came to the museum primarily for the Route 66 show. It was filled with treasures from the mother road, including some literary artifacts which were right up my alley. These included the long scroll of paper that Jack Kerouac used to write On the Road as a single paragraph and some manuscripts of Steinbeck's The Grapes of Wrath. In addition to this exhibit the museum features as part of its permanent collection odds and ends from Western movies, cowboys, gamblers, gunfighters and Native Americans and anything else Western. Above you will see a picture looking out from the museum onto the L.A. Zoo. I would love to see the L.A. Zoo sometime, but we didn't have time for it today. Plus we had to get home before the traffic in L.A. picked up too much. Wouldn't life just be easier if it was like the old west and we were still riding horses around everywhere? Well, but then I would have to ride side saddle, which is a major inconvenience when you have a dress on!